I’ve just found this recipe in the latest West Country food lover magazine and will definitely be trying it out when we get some hot weather! I will use fresh strawberries instead of frozen. Place all of the ingredients into a food processor and blend until smooth. Transfer to a suitable container and freeze until required. 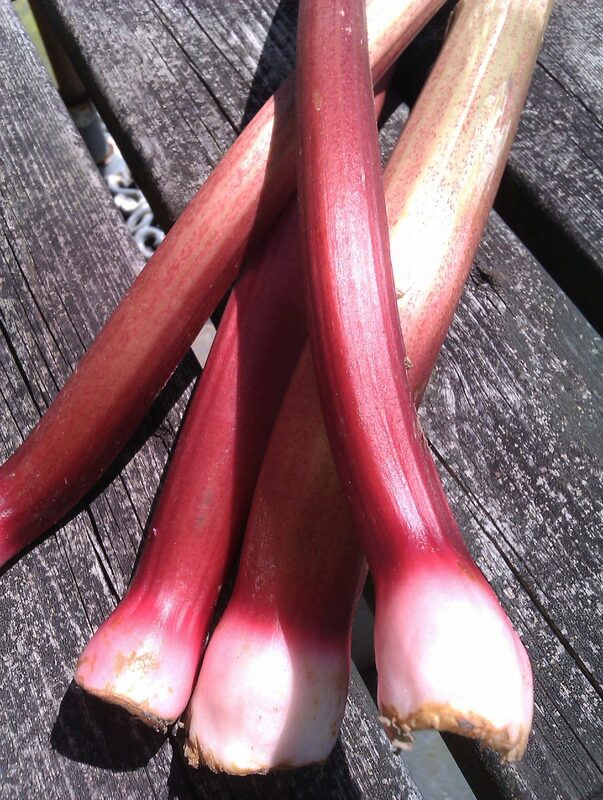 Rhubarb in our boxes is another sign that spring is here. 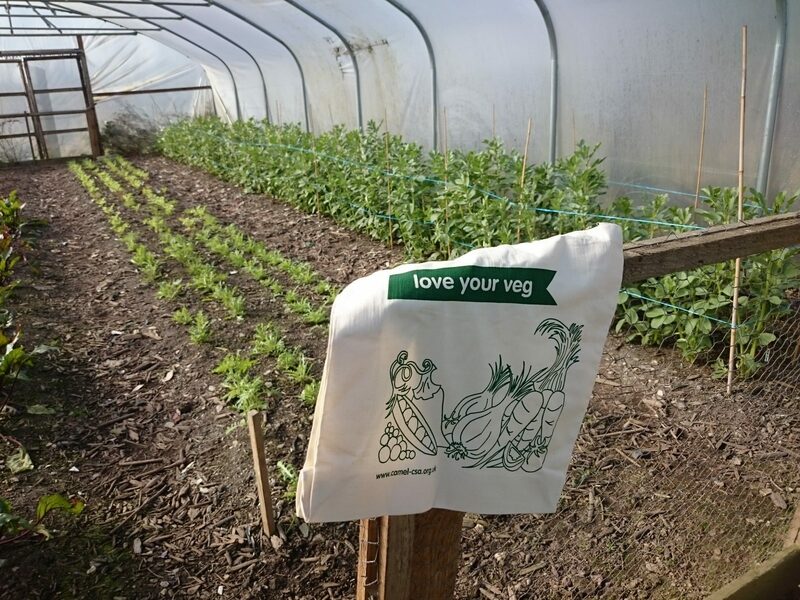 Sign up for a 4-week vegetable box trial from Camel CSA on CSA Day UK this Wednesday 1 March and we’ll give you a free pack of seeds and a LoveYourVeg cloth bag. 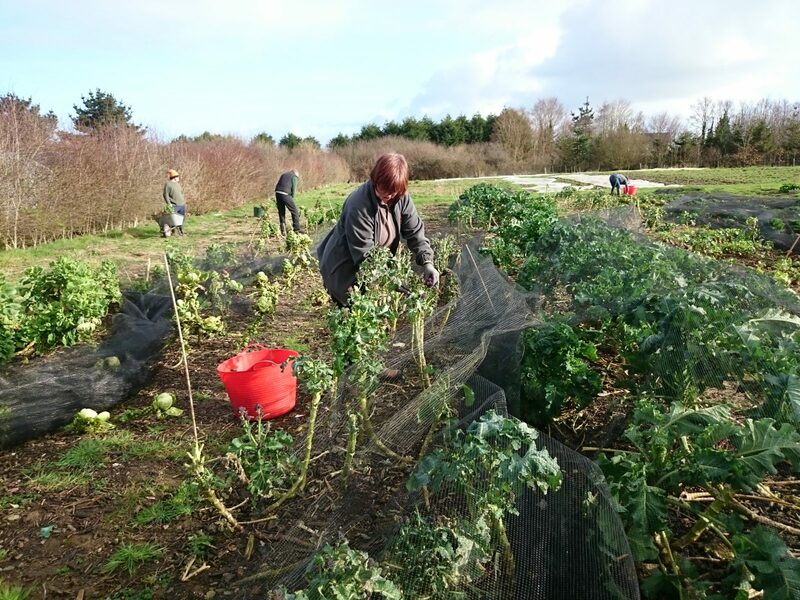 We’re proud to be one of the first CSAs in the UK; we set up at St Kew, near Wadebridge, back in 2008. We’re now part of a rapidly-growing national CSA network with more than 60 members. 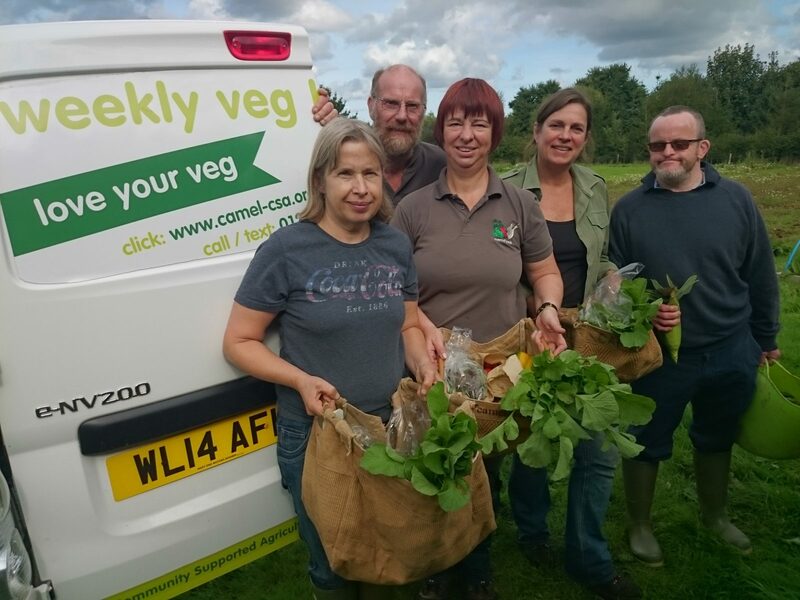 A small weekly veg box (feeds 1-2) costs £28 for four weeks; a standard weekly veg box (feeds 2-4) costs £42. Delivery every Friday to home or work is £2, or just £1 to a collection point. So why not give us a try and help us grow. 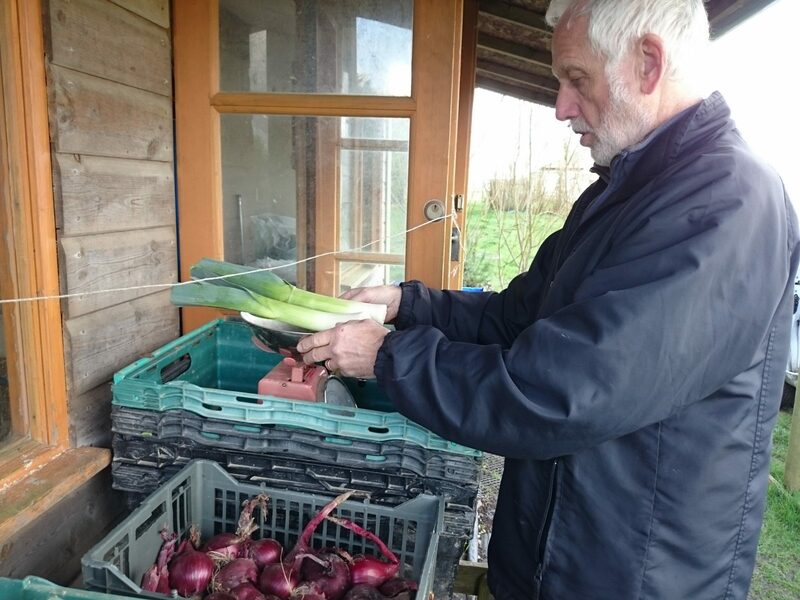 This recipe was recommended by Ann Smith who worked alongside Mark and Bridget, our professional growers, earlier this year. Ann says you could substitute pumpkin or squash for sweet potato. Fry onion until soft, add garlic, curry powder and flour. Cook for 1 minute. Add sweet potatoes, cauliflower and stock. Bring to boil, simmer for 10-15 minutes (until sweet potatoes are almost tender). Add beans and garam masala. Cook for 3 minutes. 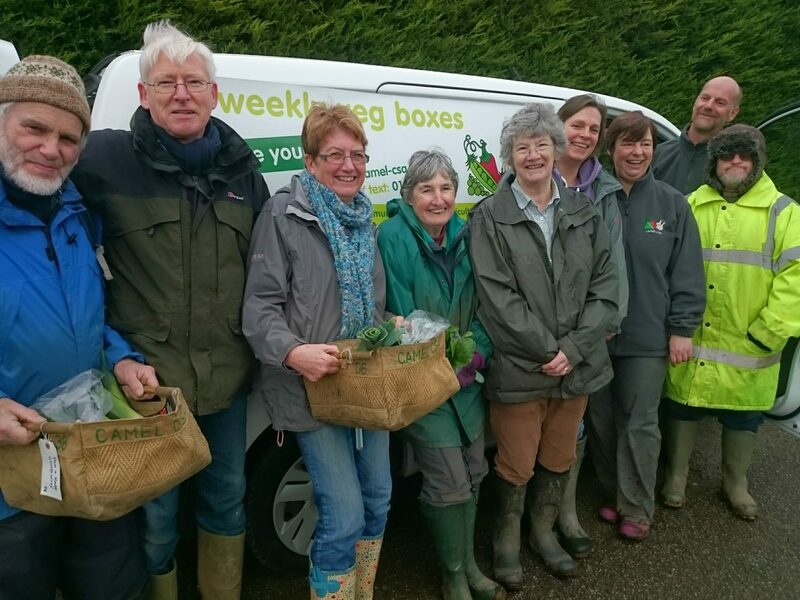 We’ve switched to an electric van for our weekly vegetable box deliveries. It means we’re cutting the cost of food miles as well as CO2 emissions. 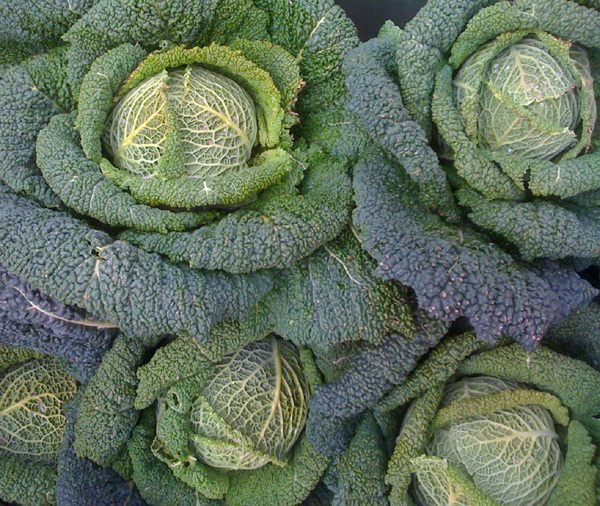 Camel CSA veg grower Mark Norman said:”It’s so clean. It doesn’t use any juice so it’s not chucking out exhaust emissions. This is from Hugh Fearnley-Whittingstall‘s book River Cottage Veg Every Day. He recommends using a good, fresh, firm celeriac, ideally an early-season one. For the dressing, shake all the ingredients together in a screw-topped jar to emulsify. Tip into a bowl. 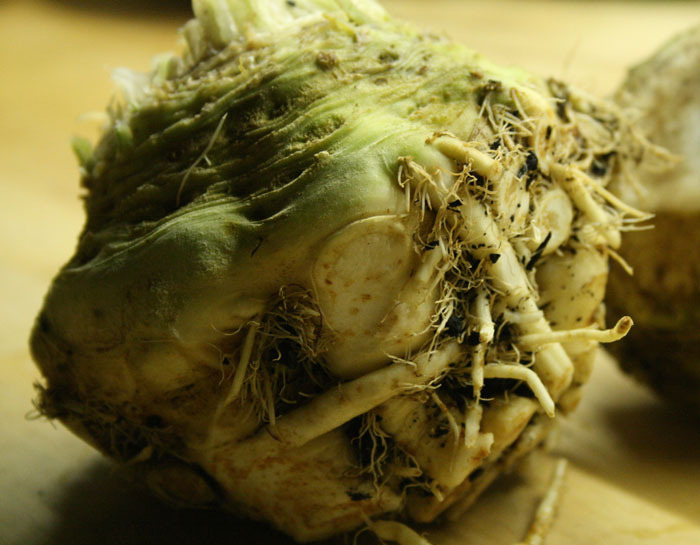 Cut the celeriac into matchstick-sized pieces. The easiest way to do this is to use a mandolin, but you can use a large, sharp knife. Transfer directly to the bowl of dressing and toss them in, so they don’t get a chance to brown. Peel, quarter and thinly slice the apple and add to the salad with the raisins. Taste and adjust the seasoning if you need to. Serve straight away, or leave for an hour or so, which will allow the celeriac to soften slightly. Toss in the roughly torn parsley leaves just before serving.